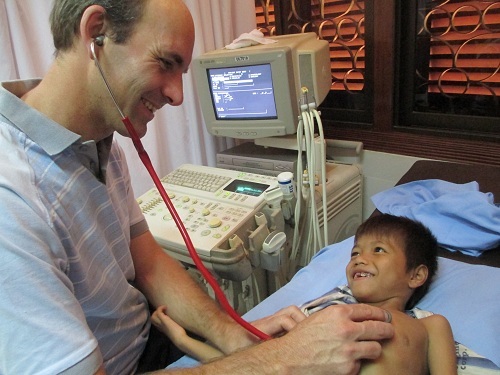 This post is by Phil Roberts, Paediatric Cardiologist – Cambodia. Hi my name is Phil Roberts. 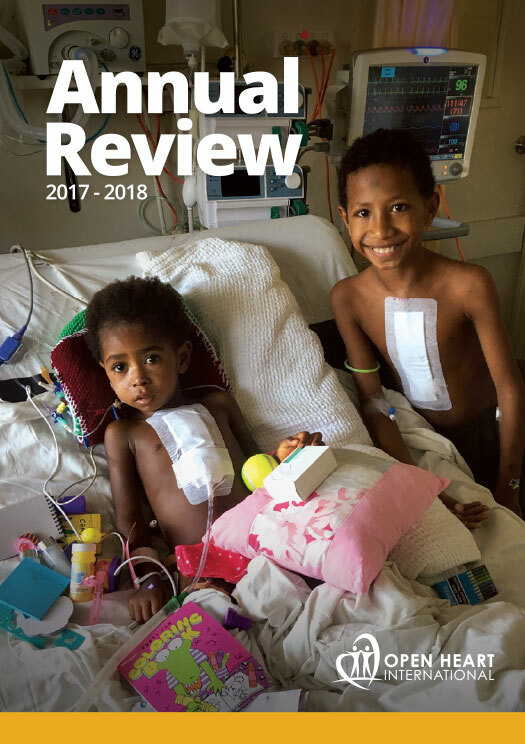 I am a Paediatric Cardiologist from Westmead Children’s Hospital in Sydney. As part of my everyday job, I can’t help but see a lot of grief and heartache, and I guess you learn to take it in your stride. Today, however was different. I met a 6 year old boy that has just about nothing in his very short life – and not even his health. Chea has recently lost both of his parents and was left at a Women’s Refuge Centre by a villager who didn’t know what else to do. And then to make matters worse, no orphanage or childrens home would accept him because he had just been diagnosed with a heart condition. You have to wonder how life could be worse for a 6 year old boy. Yet Chea has the biggest smiles of all. He is a very brave boy indeed. 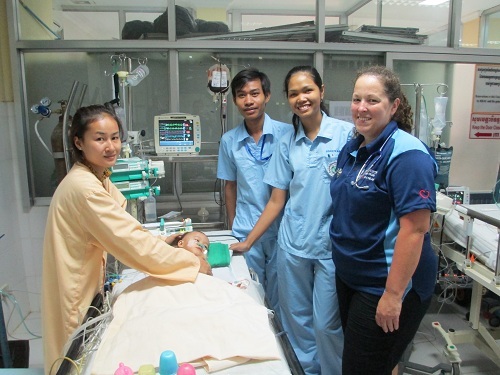 In fact the Australian team knew about Chea prior to their visit as he was referred last month. His heart condition requires a special device to assist his mitral valve so we came prepared. 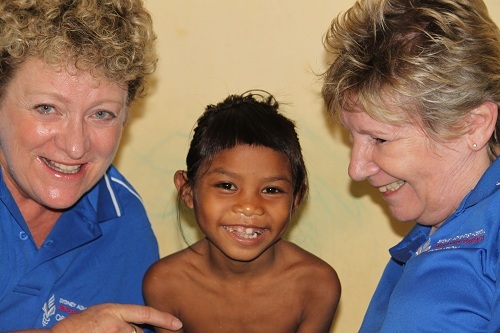 This type of surgery is expensive and two very generous Australians have come to his rescue. Geoff and Jan has paid for the device and in doing so, has given him the second chance that he so desperately needs. Every child is deserving of someone to watch over them – thank you Geoff and Jan for being there for Chea. His surgery is planned for tomorrow. 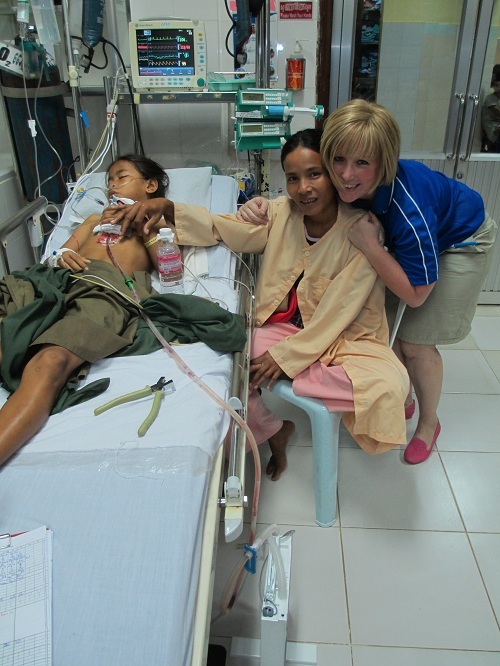 Below: Karin Stevens and Sue Clubbe entertain a little girl going for surgery tomorrow.